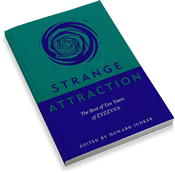 Fine writing by our stellar contributors presented in single volumes. Get one while they last. International orders are welcome. Shipping costs will be calculated at checkout. 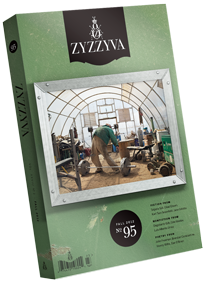 Please contact editor@zyzzyva.org with any questions. 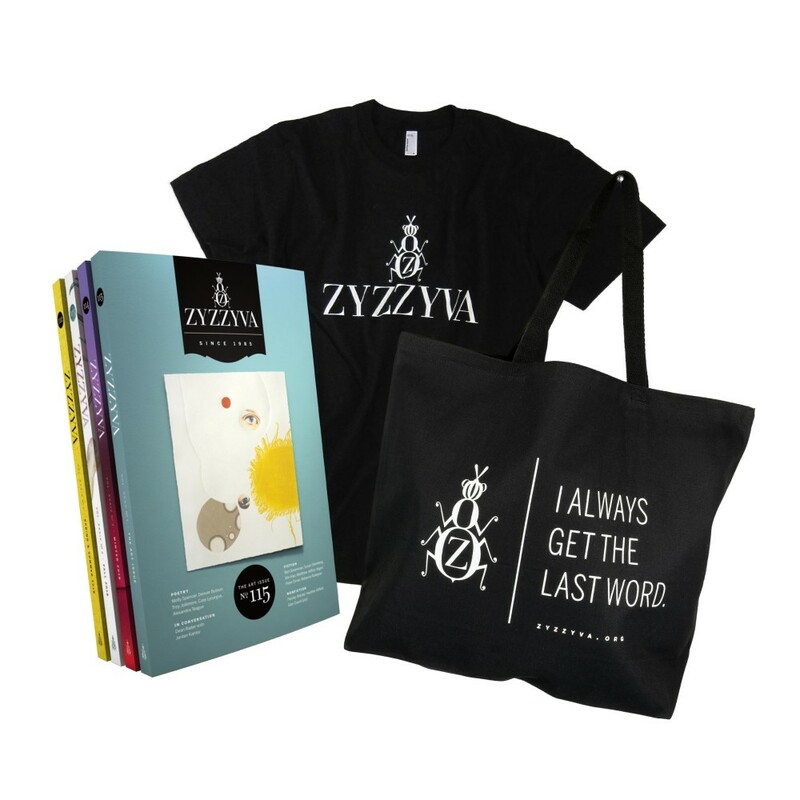 Sign up for a 4-Issue Subscription with this special offer and we’ll include a ZYZZYVA T-shirt and tote—all for only $68! 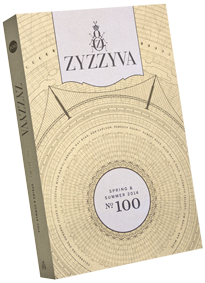 Sign up for a 4-Issue Subscription with this special offer and we’ll include a ZYZZYVA T-shirt—all for only $60! Get the complete set of our 2018 issues. 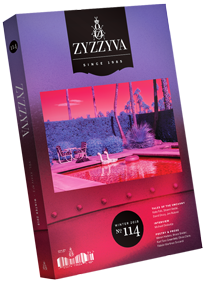 Includes Issues No. 112, 113, and 114. 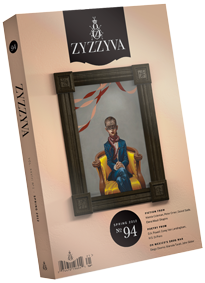 Featuring fiction from David L. Ulin, Tom Barbash, Natalie Serber, Maddy Raskulinecz, Dawna Kemper, Olivia Parkes, Michael Zaken, Ben Lasman, Manuel Muñoz, Louis B. Jones, Emma Copley Eisenberg, Elena Graceffa, David Paul, Kate Folk, Shawn Vestal, Jim Ruland, David Drury, Meron Hadero, Karl Taro Greenfeld, Jane Gillette, Jessica Francis Kane, and Olivia Clare. Nonfiction from Joshua Mohr, Suzanne Rivecca, Héctor Tobar, Lauret Edith Savoy, Lauret Edith Savoy, Obi Kaufmann, Fabián Martínez Siccardi, and Teresa H. Janssen. Poetry by Christopher J. Adamson, William Brewer, Leah Clare Kaminski, Amy Miller, Pablo Neruda (translated by Katie Lateef-Jan & Dean Rader), John Sibley Williams, Casey Thayer, Robert Thomas, Kristen Tracy, Devon Walker-Figueroa, Jane Hirshfield, Rebecca Foust, Daniel Neff, Maggie Millner, Sophie Klahr, Emily Pinkerton, Ruth Madievsky, Jennie Malboeuf, Paul Wilner, Bruce Snider, Austen Leah Rosenfeld, Flower Conroy, Ryanaustin Dennis, Heather Altfeld, Allison Adair, Moriel Rothman-Zecher, and Heather Christle. 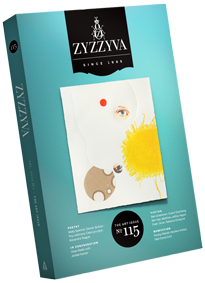 Interviews with Paul Beatty, Arundhati Roy, and Michael Ondaatje. Art from Eileen David, Obi Kaufmann, and Kate Ballis. Supplies are limited. 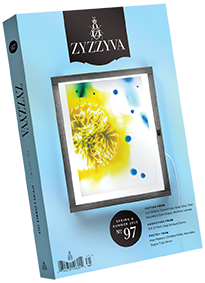 Get the complete set of our 2017 issues. 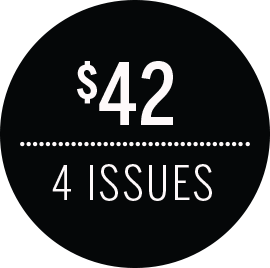 Includes Issues No. 109, 110, and 111. 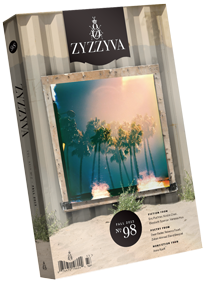 Featuring fiction from Kristen Iskandrian, Ben Greenman, Victoria Patterson, Louis B. Jones, Christine Sneed, Michael Jaime-Becerra, Liza Ward, Christian Kiefer, E.C. Osondu, Greg Sarris, Annie DeWitt, Molly Giles, Kristopher Jansma, Dana Johnson, Krys Lee, Dorthe Nors, Mackenzie Evan Smith, Adam Schorin, Andrew Martin, and Nick Lane. Nonfiction from Sallie Tisdale, Jesse Nathan, Peter Orner, Troy Jollimore, Andrew Tonkovich, Robin Romm, and T.J. Stiles. 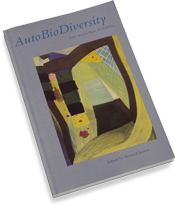 Poetry by Ru Freeman, Cynthia White, sam sax, Melissa Stephenson, D.A. Powell, Paul Wilner, Kelly Cressio-Moeller, Adam Scheffler, Jennifer Moss, Amanda Moore, Andrew Murphy, Victoria Chang, Dean Rader, David Hernandez, Ruth Madievsky, Jenny Xie, Judy Halebsky, Bino A. Realuyo, Noah Warren, Christian Olson, Jennifer Moss, Melissa Hohl, D.A. Powell, Melissa Stephenson, and Cynthia White. Interviews with W.S. Di Piero, Paul Yamazaki, and Michelle Latiolais. Art from Paulette Tavormina, Samantha Field, and Jenny Sampson. Supplies are limited. 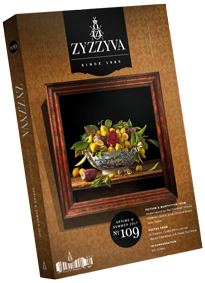 Get the complete set of our 2016 issues. Includes Issues No. 106, 107, and 108. 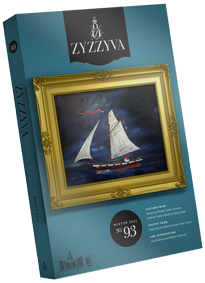 Featuring fiction from Ron Carlson, Amy Tan, Ariel Dorfman, Alan Cheuse, Kathleen Alcott, Lori Ostlund, Fatima Bhutto, Adrienne Celt, Elizabeth Rosner, Soma Mei Sheng Frazier, Ashley Nelson Levy, Lou Mathews, Mark Chiusano, Ann Cummins, Joshua Mohr, Octavio Solis, Gregory Spatz, Dallas Woodburn, Earle McCartney, Deb Olin Unferth, Mar Colón-Margolies, Scott O’Connor, Eric Severn, Catherine Sustana, Rolf Yngve, and Giuseppe Zucco; and introducing fiction debuts from Etan Nechin, Mick LaSalle, and Ella Martinsen Gorham. 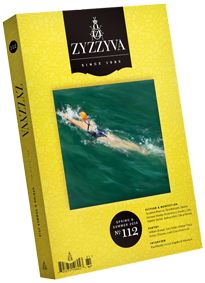 Nonfiction work from Andrew D. Cohen, Rivka Galchen, Peter Orner, Brad Wetherell, Glen David Gold, and Rebecca Thomas, as well as a profile of Kay Ryan by John Freeman, and interviews with Tobias Wolff, Geoffrey Wolf, and Susan Griffin. Poetry by Matthew Dickman, Ruth Madievsky, Jeff Ewing, Matthew Zapruder, David Hernandez, Kaveh Akbar, Paul Wilner, Samantha Wynne-Rhydderch, Adam Scheffler, Christopher J. Adamson, Jenny Qi, Mary Cisper, Mallory Imler Powell, Austen Leah Rosenfeld, Judith Skillman, Emily Benton, Abigail Carl-Klassen, Sonia Greenfield, Gary Lark, and Jesse Wallis. Visual art from Jonathon Keats, Stephen Albair, Kota Ezawa, and Annie Galvin. Supplies are limited. 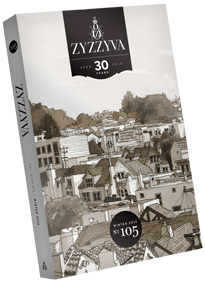 Get the entire set of three issues from our 30th anniversary year. 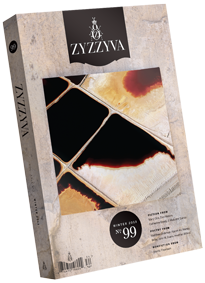 Featuring fiction from Lydia Millet, Héctor Tobar, Monique Wentzel, Ben Greenman, Robin Romm, Christian Kiefer, Joe Donnelly, Molly Giles, Nick Fuller Googins, Karl Taro Greenfeld, James Warner, Anthony Marra, Patricia Engel, Glen David Gold, April Ayers Lawson, Mauro Javier Cardenas, David L. Ulin, Spencer Seward, Caille Millner, Dagoberto Gilb, Austin Smith, Dominica Phettaplace, Davide Orrechio, Olivia Clare, Kristopher Jansma, Paul Madonna, Heather Monley, Andrew Foley, Patrick Brice & Sammy Harkham, and Henri Lipton; nonfiction from Kyle Boelte, Julie Chinitz, Andrew David King, and Lauren Alwan; poetry from Robert Hass, Lisa Gluskin Stonestreet, Matthew Zapruder, Ruth Madievsky, Luiza Flynn-Goodlett, Nicole Stellon O'Donnell, Eric D. Parkison, Molly Spencer, Joseph Di Prisco, Sally Ashton, Karen Leona Anderson, Cecelia Hagen, Jennifer Richter, Heather Altfeld, Dan Alter, Jill Osier, Floyd Skloot, Ed Skoog, and Molly Vogel; artwork from Amos Goldbaum, Jonathon Keats, Jay DeFeo, and Paul Madonna. Supplies are limited. 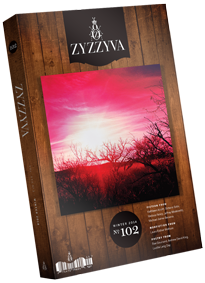 Get the entire set of three issues, including our special 100th issue. Featuring fiction from Héctor Tobar, Erika Recordon, Daniel Handler, Earle McCartney, Vauhini Vara, Matt Sumell, Elena Mauli Shapiro, Michael Jaime-Becerra, Michelle Latiolais, Paul Madonna, Melissa Yancy, Josh Emmons, Elizabeth Tallent, and Kathleen Alcott; nonfiction from Rebecca Solnit, Jim Gavin, Katie Crouch, Glen David Gold, Jim Krusoe, Jill Logan, Edie Meidav, Laura Esther Wolfson, and David L. Ulin; poetry from Robert Hass, Kay Ryan, Dan Alter, Troy Jollimore, Simone Muench & Dean Rader, Rae Gouirand, Andrew David King, and Austin Smith, plus the artwork of Ana Teresa Fernandez, Jonathon Keats, Julio Cesar Morales, Jane Fulton Alt, and Bill Mattick. Supplies are limited. 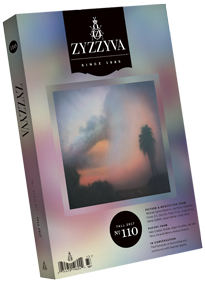 Now you can order the complete set of 2013 issues. Featuring fiction by Lori Ostlund, Herbert Gold, Molly Giles, Peter Mountford, Dani Shapiro, Michelle Latiolais, Eric Puchner, Kirstin Chen, Elizabeth Spencer, Vanessa Hua, Mary Otis, Don Waters, Catherine Brady, Juan Pablo Villalobos, Lisa Teasley, and J. Malcolm Garcia; poetry by Matthew Dickman, Kazim Ali, Wendy Willis, John W. Evans, Heather Altfeld, Dean Rader, Rebecca Foust, Zubair Ahmed, David Biespiel, Allan Peterson, Christian Kiefer, Alexandra Teague, and Floyd Skloot; nonfiction from W.S. Di Piero, Diego Enrique Osorno, Anne Raeff, and Moritz Thomsen; plus artwork from Devri Richmond, Vanessa Marsh, David Maisel, Meghann Riepenhoff, Mike Callaghan, Jeannie O’Connor, Tom Stolmar, Iris Chabari-Berggren, and Marcus Covert. 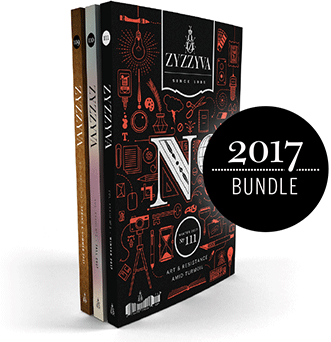 Order the bundle as a treat for yourself, or as an elegant gift. Sold out! 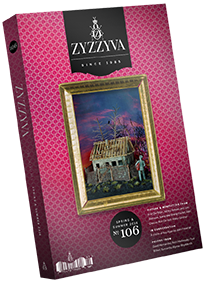 Get the complete set of 2012 issues, including No.95, which was recognized by Best American Short Stories and Best American Essays. 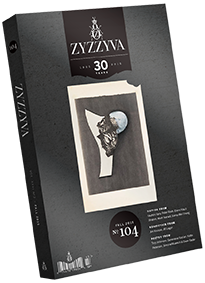 Featuring stories from Tatjana Soli, Peter Orner, Wanda Coleman, Daniel Sada, Jennifer duBois, Ron Carlson, Don Waters, Earle McCartney, and Vanessa Veselka; poetry by W.S. Di Piero (winner of a 2013 Pushcart Prize), Marci Vogel, John Freeman, Wendy Willis, D.A. 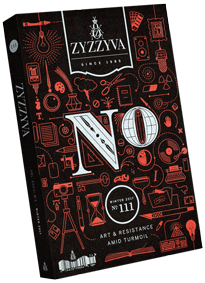 Powell, Judy Halebsky, Jesse Nathan, Ada Limon, and John W. Evans; nonfiction from Dagoberto Gilb, Edie Meidav, Rick Barot, and Luis Alberto Urrea; also, reportage, essays, and fiction from Mexico on the drug war; a selection of noir writing; and art from Lucas Foglia, Wendy MacNaughton, Chester Arnold, Stephanie Syjuco, Packard Jennings, and Jane Hambleton. Supplies are limited. 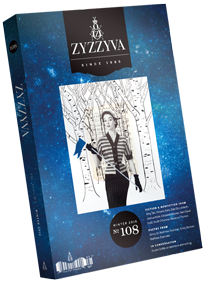 Get the complete set of 2011 Spring, Fall and Winter issues, specially packaged with a ZYZZYVA greeting card. 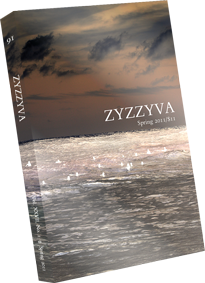 Featuring stories from Tom Bissell, Erika Recordon, Tom Barbash, Karen Joy Fowler, Will Boast, Katie Chase, Malena Watrous, David Guterson, Susan Berman, Josh DuBose, Vanessa Hua, and Adam Johnson; poetry by Matthew Dickman, Jeanette Allee, W.S. 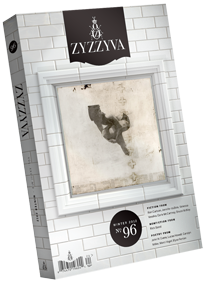 Di Piero, Robin Ekiss, Troy Jollimore, Heather Altfeld, Floyd Skloot, Carl Adamshick; nonfiction from Stephen Elliott, Jill Storey, Carter Scholz, Paula Priamos, Gary Soto, and art by Owen Smith, Richard Misrach, Katy Grannan, Julio Cesar Morales, Sandow Birk, Carson Murdach, Reid Yalom, Susan Seubert, and Monica Denevan. Supplies are limited. Sold out! 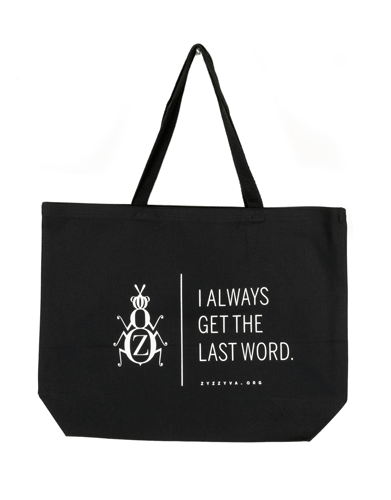 ZYZZYVA weevil logo and “I Always Get The Last Word” silkscreen printed on premium black canvas tote bag. Dimensions: 20" wide × 15" high × 5" deep. $20 + shipping. 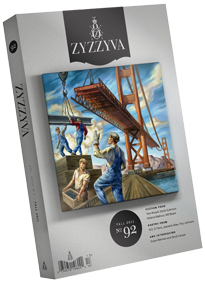 ZYZZYVA T-shirts are here! Silkscreen printed on premium shirts. Available in black in a range of unisex sizes. $18 + shipping. 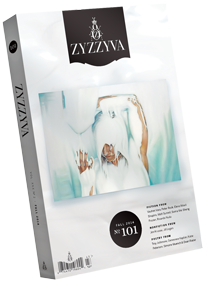 ZYZZYVA hoodies are here! 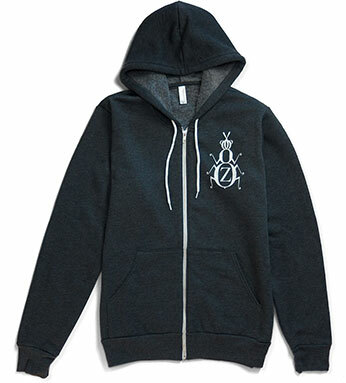 Each one is lovingly hand-printed in the USA on a premium fleece zip-hooded sweatshirt. Available in dark charcoal gray in a range of unisex sizes, the ZYZZYVA hoodie is 60 percent combed and ring-spun cotton and 40 percent polyester fleece, and features a metal zipper, a white drawcord, and a split front pouch pocket. 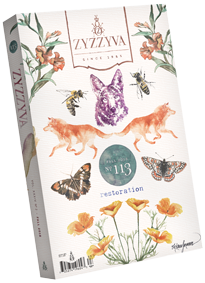 Show your support for ZYZZYVA and the arts by making this your go-to hoodie—it’s super comfortable, built-to-last, and will keep you warm and stylish for years to come. $49 + shipping. Features poetry, fiction, scripts, and essays from more than 40 writers, including Francisco X. Alarcón, Sherman Alexie, Kate Braverman, Po Bronson, Dennis Cooper, Peter Coyote, Tess Gallagher, Philip Kan Gotanda, Thom Gunn, Robert Hass, Jane Hirshfield, Garrett Hongo, August Kleinzahler, Philip Levine, Jess Mowry, Gary Snyder, Octavio Solis, Elizabeth Tallent, William Vollman, Lois-Ann Yamanaka, and others. $20 (338 pages; paperback). Sold out! 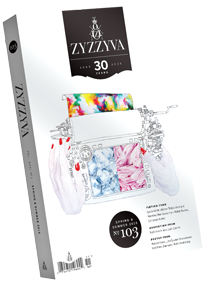 27 autobiographical pieces commemorate ZYZZYVA’s 20th anniversary. Featuring F.X. Toole (on being a cut man in boxing), Brenda Webster (on psychoanalysis as a way of life), Judith Barrington (on life as a “soft butch” lesbian), plus Victor Davis Hanson, Susan Parker, Eve Pell, and many others. $14.95 (272 pages, paperback). Limited supply. 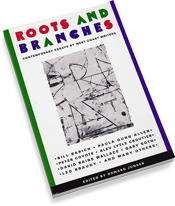 More than 30 essays by such writers as Blair Fuller (who recalls an early experiment with LSD), David Harris (on doing time as a war resister), Paula Gunn Allen (who explores her Lebanese heritage in New Mexico), plus Bill Berkson, Lawrence Ferlinghetti, Gary Soto, David Rains Wallace, Peter Coyote, James D. Houston, and others. $10.95 (286 pages; paperback). Very limited supply!